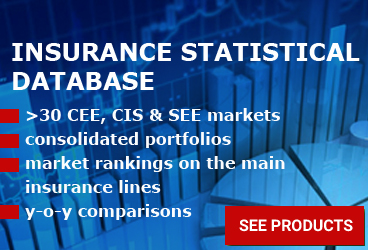 According to HAIC's survey focusing on great magnitude and intensity disasters, insurance companies recorded a total of 24,106 claims between 1993 and 2018, accumulating a volume of indemnities paid of EUR 358,805,205. Five main disaster types were mentioned in the study - snowfalls, rainfalls (including floods and tornadoes), wild fires, earthquakes and riots. Rainfall was the most frequent type of calamity in Greece, recording EUR 128.6 mil. in total claims amount. The highest total damage from rainfalls was seen in 2002, when EUR 26.6 mil. were paid by Greek insurers. The highest average value of rainfall claims was recorded in year 2017, with the value of EUR 37,567 per claim (77% higher than 2012 average value - EUR 21,200 per claim). Usually, rainfalls cause the highest value damages in October and July. The other types of risks have occurred less frequently, but produced higher severity losses. Earthquakes' total damage reached up to EUR 133.5 mil. in this period. The riots in 2008 and 2012 in particular caused EUR 48.5 mil. damages - the 2012 riots being the most costly event, judged by average indemnity paid (EUR 83,410 average). 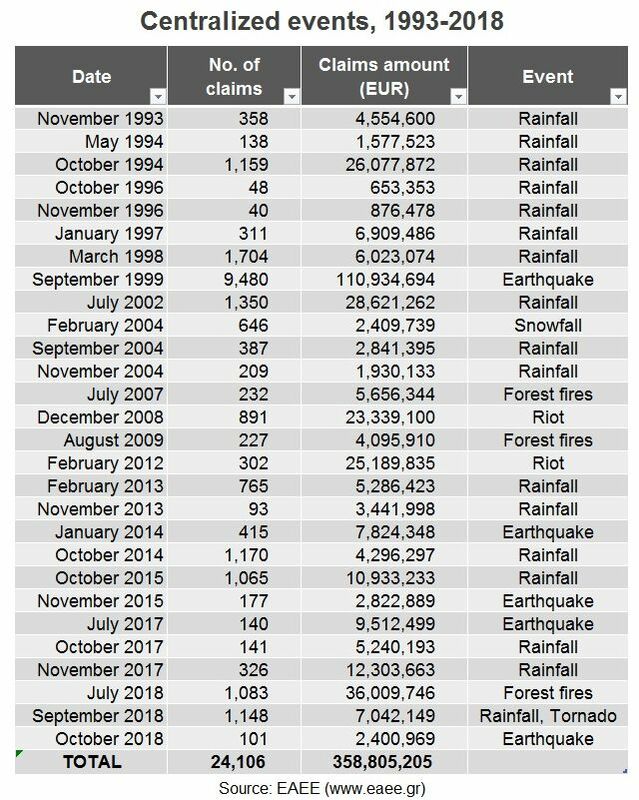 In total, forest fires claims reached EUR 45.8 mil., while the indemnities paid for damages caused by snowfalls totalized only EUR 2.4 mil. 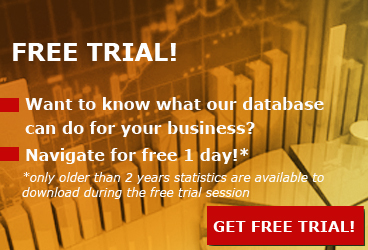 The survey included 9 regions: Attica, Zante, Thessaloniki, Thrace, Kefalonia, Crete, Kos, Lefkada and Rhodes. The Attica and Central Greece areas reported both the highest total amount of damages and the highest average paid indemnity value. 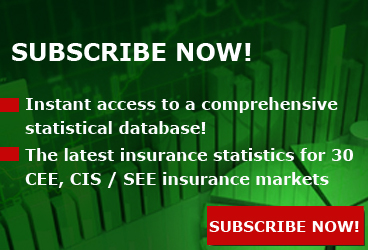 "The role of the insurance market in covering the economic losses resulting from catastrophic events is, over time, extremely important. 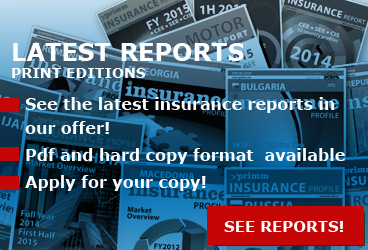 In every event, the mechanism of the insurance companies is activated immediately with the aim of ensuring the quicker recovery of the damages of our insured persons," said The Association of Insurance Companies in Greece (EAEE). "Natural phenomena in Greece and worldwide seem to have been increasing in frequency and intensity in recent years. As a society and as a state, we must be prepared to deal with and repair the resulting damages, which are often large and difficult to cover by the citizens themselves. The insurance market is working out specific proposals which will be discussed with the State, for the benefit of all parties and especially the citizens, starting with the earthquake risk," added EAEE. The whole original report can be found on EAEE website, here (www.eaee.gr).